I live in Linares/Spain (about 300 kilometres south of Madrid in Andalusia) which is a former industrial and mining hub, now a university city and shopping town. From Linares there is a footpath which is a few kilometres long and leads to a village called “Estación Linares-Baeza”, where the train station is located. The area is mainly surrounded by olive tree plantations. Coming from Germany to Spain the first time and having just arrived in Granada/Spain I went to a coffee shop in the morning to have breakfast. When I looked around I was amazed to see lot's of people having breakfast a way I never had seen before: spreading crushed tomatoes (tomato purée) over a slice of baguette-type toasted bread and then spilling olive oil over it and salt on top. To be honest I was shocked at first. No butter, just oil! It looked brutal to me. Later friends explained to me that crude olive oil is very tasty and healthy as well. As it is used crude it retains all the nutrients and yes, it is fatty, but it is vegetable oil and not from an animal and therefore supposed to be more healthy. I tried it and found it delicious to this day, it has added to my diet in a positive way. The province of Jaén/Andalusia/Spain is the largest producer of olive oil in the world. The view of the country side is breathtaking, there are olive trees everywhere, stretching to the horizons, with much of the olive oil production being sold to Italy. There are also olive oil farmers in the Jaén province who have decided to produce high quality olive oil. Overall olive oil is very much a gourmet topic. 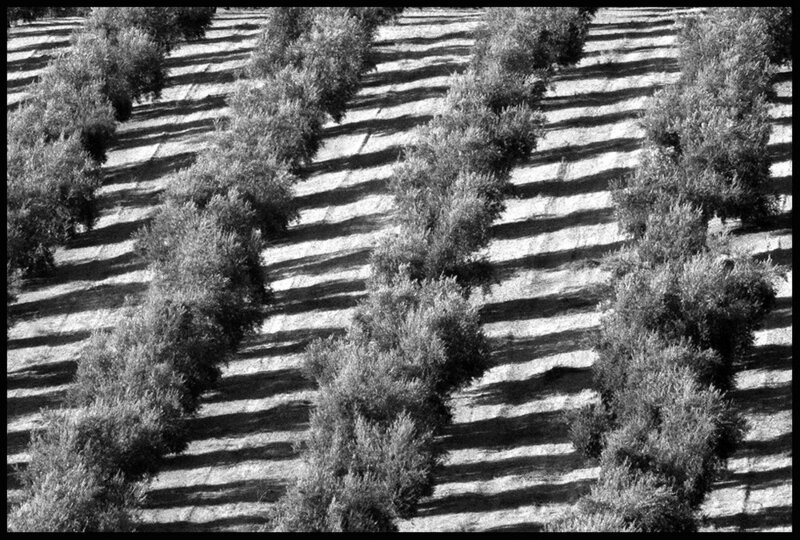 Similar to wine there are important differences: the very type of the olive and olive tree, the soil where it grows, a stronger or lighter taste, the time of harvesting and so on. Of course olive oil and olive trees have had and still have of course a huge impact up to this day not only with regards to cooking and diet but as well economically and culturally. The famous Spanish modernist poet Antonio Machado lived for some years during the first quarter of the 20th century in the town of Baeza/Jaen-Province. His poem "The Olives" depicts beautifully the many aspects surrounding olive trees in a very layered and truthfully complex poetry: "Old thirsty olive trees / Under the glaring sun, / Dusty olive groves ..."